Harry N. Abrams, 9781419719080, 192pp. Eddie Pittman is an award-winning cartoonist who works in animation, comics, and illustration. He began his animation career with Walt Disney Feature Animation, working on films such as Mulan, The Emperor’s New Groove, and Lilo & Stitch. Most recently, Pittman was a writer/story artist for Disney’s hit TV series Phineas and Ferb. He lives in Florida. 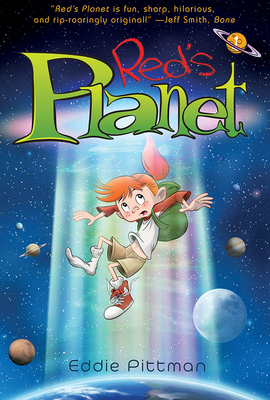 Visit the author online at redsplanet.com.